The Qur’an is the final revelation for the Guidance of mankind from the same Almighty God who sent Abraham, Moses, and Jesus. This Qur’an is translated / interpreted word-for-word from Arabic to English in a simple way so that it can be understood easily by everyone. We used Allah (One and only like Him instead of God) throughout. Any word needed to clarify a meaning is added in parenthesis. All 25 names of the prophets mentioned in the Qur’an are listed as English names so the reader can find the same name mentioned in previously revealed scriptures. A Prophet tree is provided at the beginning with a list of places, nations, landmarks, etc. for each prophet as references. A map is provided to show the location of each of these places and nations. A brief list of the life events of Prophet Muhammad is given to understand the goals and objectives of his mission. Since he has been sent as the final Messenger for the entire universe until the Last Day of this world, all of his efforts focused on reaching out to all nations through delegations and letters towards peace for all mankind. He personally traveled many expeditions and wrote letters to different kings and rulers of different nations. Besides the Qur’an, all of his sayings with events (Hadith) narrated by his companions during his lifetime and afterwards were preserved and recorded in systematic order so a reader can find the detailed reference / reason in Hadith for any particular revelation in the Qur’an which was revealed during 23 years. Two copies of the originally compiled Qur’an are still preserved in Tashkent, Uzbekistan and Istanbul, Turkey. 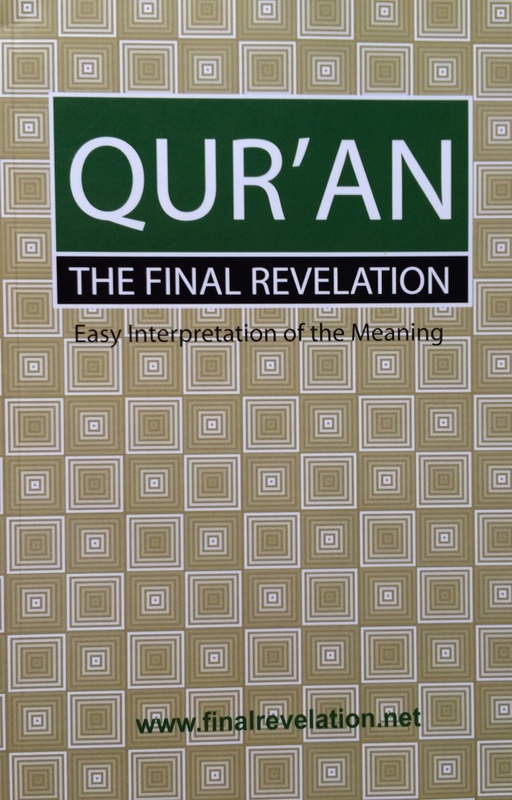 Today’s Arabic Qur’an is the same as the one originally compiled. All this information will help the reader understand the continuation of the religion of Abraham through Moses, Jesus and finally through Muhammad, who has been sent with this Qur’an to deliver the final version of the religion of Allah to mankind, Islam.